Sweet, warming, and chock-full of deliciousness. 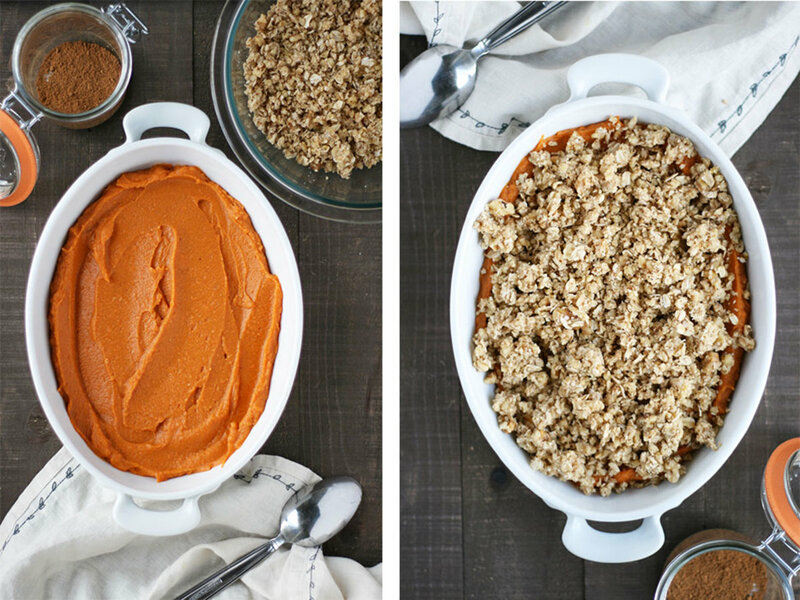 Instead of a traditional sweet potato casserole made with butter, dairy, sugar, and more sugar, this seasonal recipe (and everyone&apos;s new fav side dish) packs in real food ingredients. 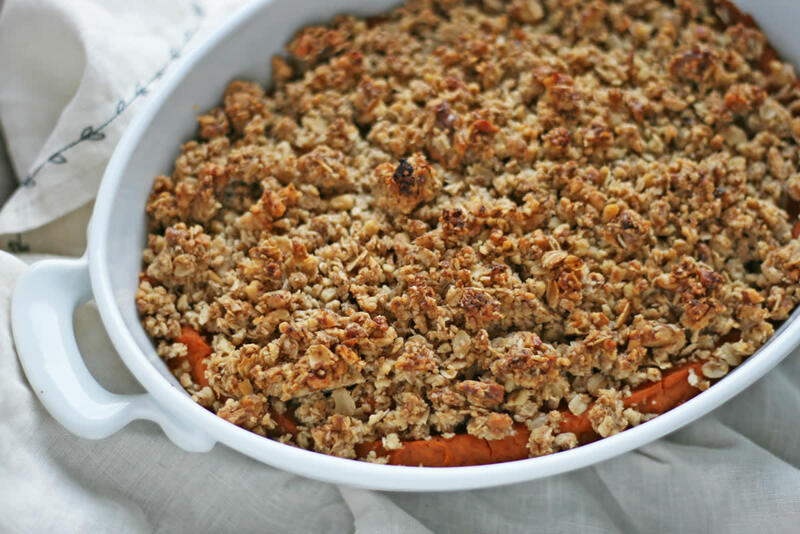 This sweet potato casserole with a pecan and oat crumble topping recipe is vegan and gluten-free, making it great for guests with dietary restrictions. 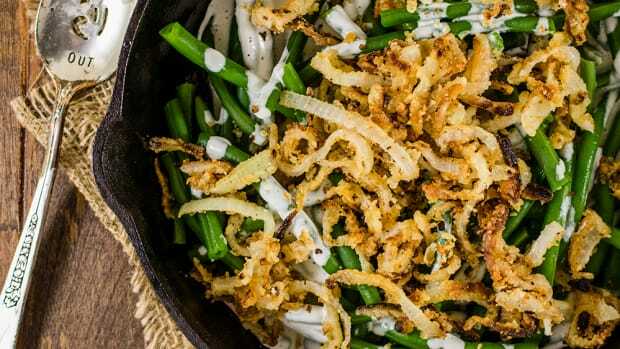 There&apos;s really no need to wear your stretchy pants all season with delicious vegetable side dishes that won&apos;t leave you feeling bloated. 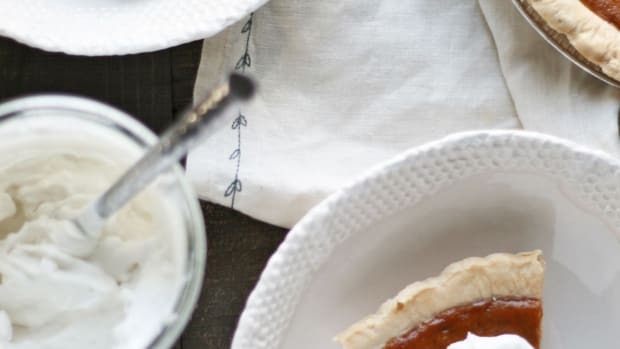 The food coma (and need to put on looser pants) comes when the vegetable side dishes more often resemble desserts or unhealthy junk food than their healthy origins. 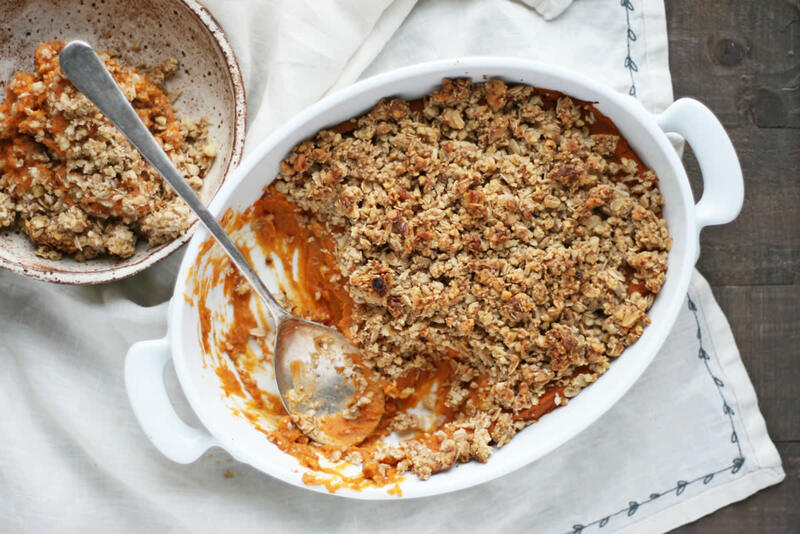 Instead of loading up on bread-filled stuffing and gravy, dig into vegetable filled sides like Brussels sprouts, kale salad, butternut squash soup, and this delectable sweet potato casserole. 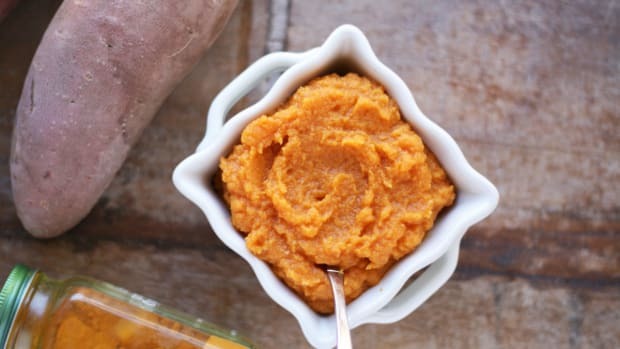 Sweet potatoes are a delicious (and necessary!) addition to the autumn and winter plate. 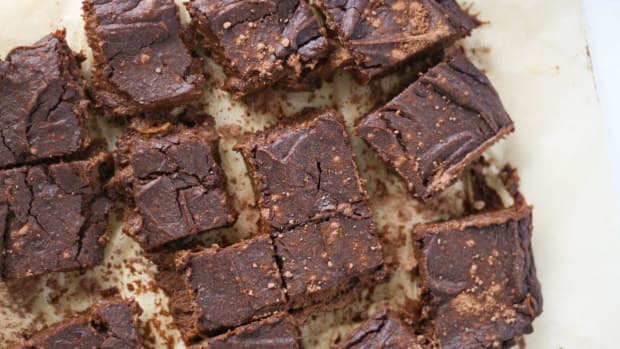 When prepared in a nutritious way (without all that butter and sugar! 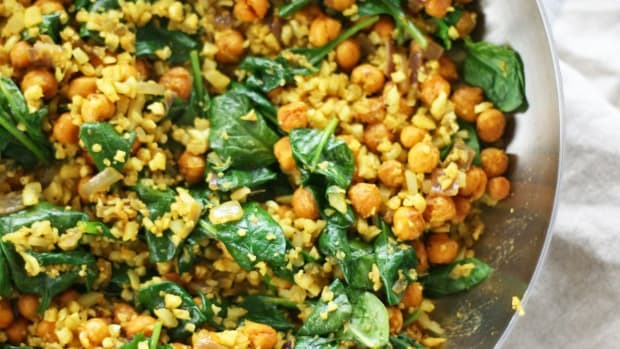 ), they&apos;re sure to keep blood sugar levels balanced while providing a healthy source of starchy carbohydrates. 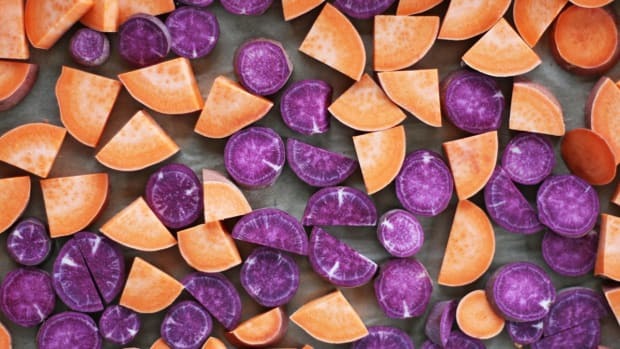 Compared to white potatoes, sweet potatoes rank much lower on the glycemic index and boast a higher density of nutrients. They&apos;re a rich source of numerous antioxidants, potassium, vitamins A and C, and vitamin B6 which support energy and metabolism. There&apos;s no need to top your sweet potato casserole with artificially sweetened marshmallows - make a crumble instead. 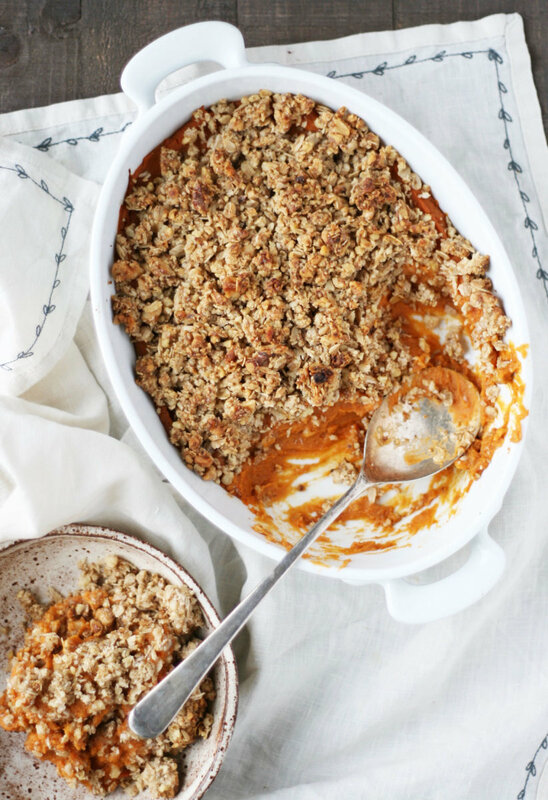 Although usually reserved for desserts, a crumble is a delicious way to add in more nutrients, healthy fats, and a delicious texture to the traditional sweet potato dish. 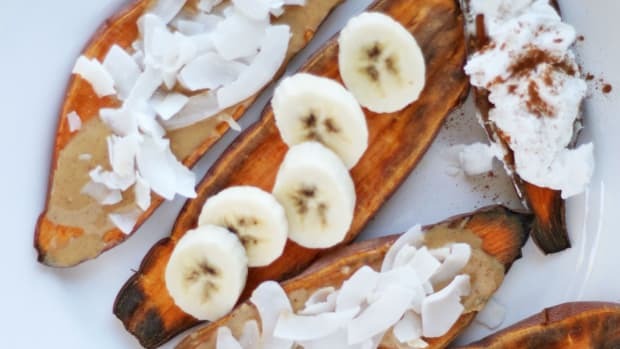 Including fat (from the nuts and coconut oil in the crumble) in sweet potato-containing meals is the best way to take full advantage of the beta-carotene benefits of this root vegetable. 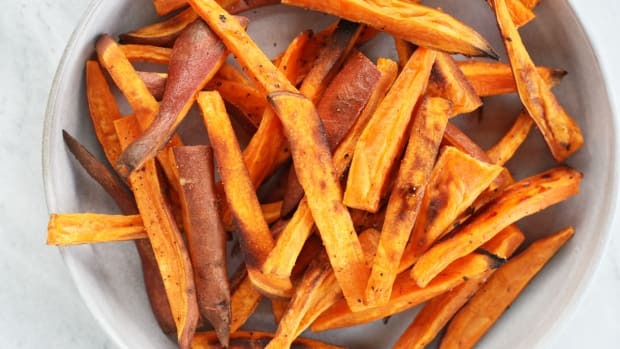 Recent research has shown that a minimum of three to five grams of fat per meal significantly increases uptake of beta-carotene from sweet potatoes. Note: if guests have gluten sensitivity or Celiac disease, make sure to purchase certified gluten-free rolled oats. For nut allergies, swap pecans with sunflower seeds and buckwheat groats. 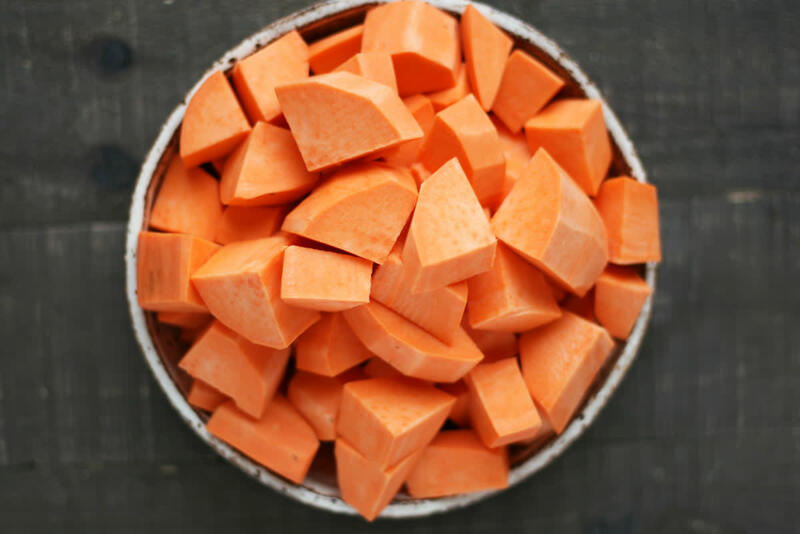 Peel and chop sweet potatoes into small cubes and place in a large pot and cover with cold water. Bring water to a boil, reduce heat to a simmer, and gently boil potatoes for 10-15 minutes, or until potatoes can easily be pierced with a fork. Drain. In a large bowl, blender, or the base of an electric mixer, add potatoes, cinnamon, nutmeg, maple syrup, almond milk, and sea salt. Beat/blend until potatoes are smooth and whipped, about a minute or two. Spread whipped potatoes into the base of a casserole dish. Now prepare the crunchy topping. In a food processor or blender add in oats, pecans, sea salt, and cinnamon and process for 5-10 seconds or until nuts become slightly chopped. Don’t over process your oats and pecans – you want them to have some texture! Pour oat and nut mixture into a small bowl and add in maple syrup and coconut oil. Use your hands to thoroughly mix and clump the mixture into crumbles. 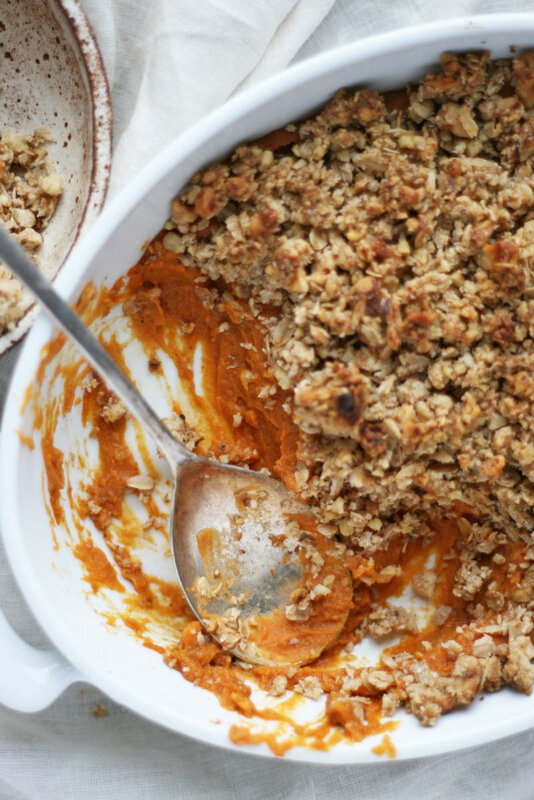 Sprinkle the crumble in an even layer on top of the sweet potato casserole. Bake for 20-25 minutes, or until the crumble is lightly browned on top. Spoon out and enjoy!